Improving customer experience through automation | Eptica - Multi Channel Customer Interaction Software. Email Management. Web Self-service. Live Chat and Agent Knowledgebase. The average person in the UK contacts brands nine times a month with customer service queries, making nearly half a billion interactions across the UK economy, every month. The number and complexity of these queries are rising, with 47% of consumers contacting companies more than five years ago, according to consumer research undertaken for Eptica. 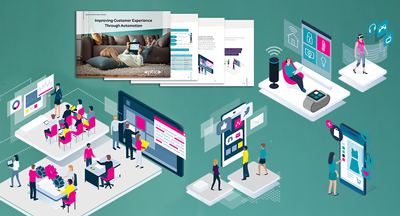 This guide outlines the findings of Eptica’s consumer research and provides a best practice guide for organisations to transform how they automate customer service, benefiting both CX and their bottom line.